University of North Carolina Press, 9781469648521, 328pp. Interest in the psychotherapeutic capacity of Buddhist teachings and practices is widely evident in the popular imagination. News media routinely report on the neuropsychological study of Buddhist meditation and applications of mindfulness practices in settings including corporate offices, the U.S. military, and university health centers. However, as Ira Helderman shows, curious investigators have studied the psychological dimensions of Buddhist doctrine for well over a century, stretching back to William James and Carl Jung. These activities have shaped both the mental health field and Buddhist practice throughout the United States. This is the first comprehensive study of the surprisingly diverse ways that psychotherapists have related to Buddhist traditions. 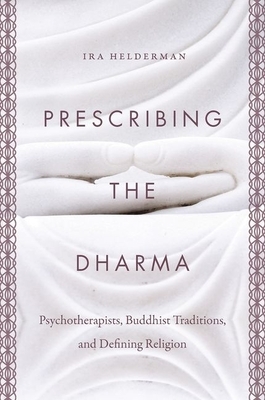 Through extensive fieldwork and in-depth interviews with clinicians, many of whom have been formative to the therapeutic use of Buddhist practices, Helderman gives voice to the psychotherapists themselves. He focuses on how they understand key categories such as religion and science. Some are invested in maintaining a hard border between religion and psychotherapy as a biomedical discipline. Others speak of a religious-secular binary that they mean to disrupt. Helderman finds that psychotherapists' approaches to Buddhist traditions are molded by how they define what is and is not religious, demonstrating how central these concepts are in contemporary American culture.